Won the Locus 1972 Award for Best Original Anthology. 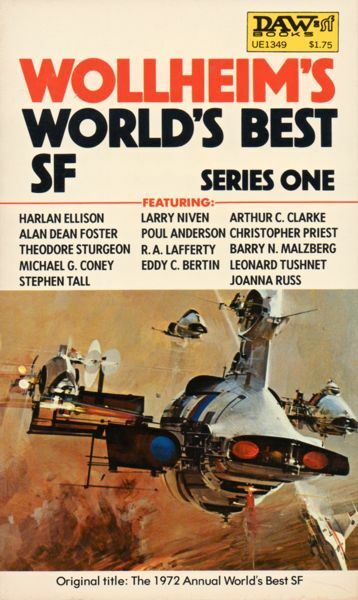 The Universe series of anthologies contained original SF that had not yet appeared in print. 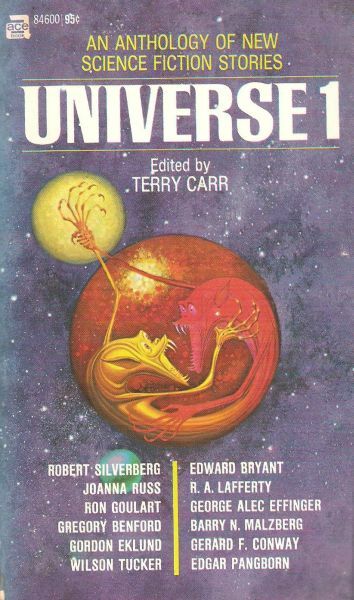 And, the inaugural volume Universe 1 (1971) ed. by Terry Carr certainly hit critical pay dirt: Robert Silverberg’s minimalist the first robotic pope tale won the Nebula for Best Short Story, George Alec Effinger’s anti-war black comedy was nominated for the Hugo Award for Best Short Story, Joanna Russ’ alt-history (sort of) fable was nominated for the Nebula Award for Best Novelette, and Edgar Pangborn’s sentient “alien” animals look for a caretaker mood piece was nominated for the Nebula Award for Best Novelette. On the whole the quality is fairly high. I actively disliked only two of the twelve. Recommended for fans of the New Wave 60s/70s movement. 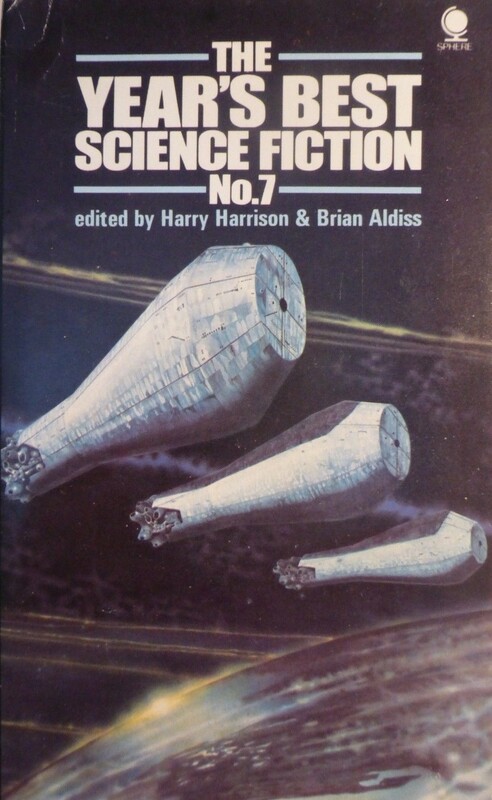 However, I get the feeling that there were better stories produced (by many of the same authors) in 1971…. “West Wind, Falling,” novelette, Gregory Benford and Gordon Eklund, 3/5 (Average): Appealing premise plagued by humdrum delivery… Paul lives with the various generations of descendants of the first colonists on the comet Zephyr. To Paul, “born on Zephyr, Earth was a dull, disembodied voice which gave frequent orders and occasional help” (13). Despite the approaching end of the voyage and the rising anti-Earth movement among the younger generations, Paul spends his time lusting after virginal seventeen-year-olds who are all to happy to get into his bed…. Inspired in part by a dream, Paul eventually decides to take action, the murdering his grandfather (and original settler) sort, “not for a cause,” Paul rationalizes, “For me. For my freedom” (35). I had yet to read the work of either author—I am probably not going to actively track them down but, if they crop up in a collection I’ll try again. “Jade Blue,” short story, Edward Bryant, 2.5/5 (Bad): Bryant’s Cinnabar sequence of stories revolve around an otherworldly city inhabited by strange denizens. Jade Blue is a genetically manipulated governess—a cat woman with breasts—who nurses her human charge: “Her milk soothed, gently narcotic” (57). She serves as a replacement for the human child’s parents as they are absent. Another narratives unravels simultaneously, a scientist creates an APE or Artificial Probability Enhancer that can change time. Clearly a mood piece, there are handful of scenes that suggest how strange Cinnabar really is—for example, statues great the human child as he moves around his house. The ridiculous and problematic nature of a catwoman with breasts aside, the meaningful core of “Jade Blue” feels slight and insubstantial despite the the fascinating local it exists within. 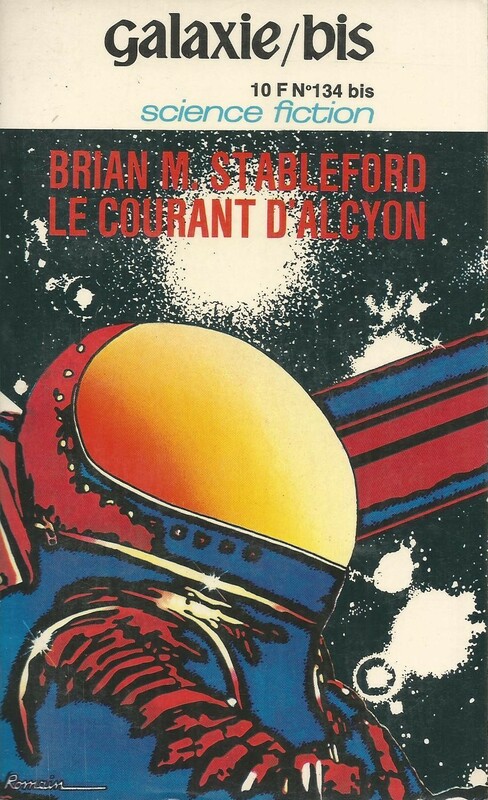 I wonder if the other stories in Bryant’s Cinnabar (1976) collection will resonate more. “Nor Limestone Islands,” short story, R. A. Lafferty 3.75/5 (Good): A minor Lafferty story in the satirical/tall tale/fable form he so adores, “Nor Limestone Islands” expands in outrageous directions the Greek myth about the origin of the first statues: i.e. they fell from the stars. A limestone salesman makes the pitch to potential buyers regarding cheap marble that he can almost instantaneously deliver… The town does not believe him. Little do they know he is an inhabitant of Srutzamutza, a floating travertine island. “Time Exposures,” novelette, Wilson Tucker, 3/5 (Average): I suspect his is one of Tucker’s weaker efforts. It combines a mystery whodunit with a futuristic piece of technology—a camera that takes “time exposures” that are able to “see” before the crime occurs. Explaining this is remotely possible is not the aim of the story… Initially the “time exposures” are useless as the room is too dark and the figure in the room with the murdered woman are obscured. And then there’s a twist…. Told in an unadorned and descriptive mystery style, the result is a highly forgettable story. I hold out hope for The Long Loud Silence (1954)! 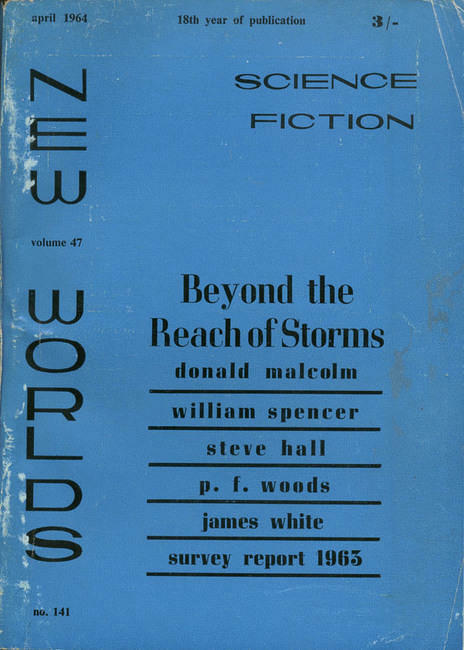 “Mindship,” short story, Gerard F. Conway, 4/5 (Good) was the surprise of the collection. 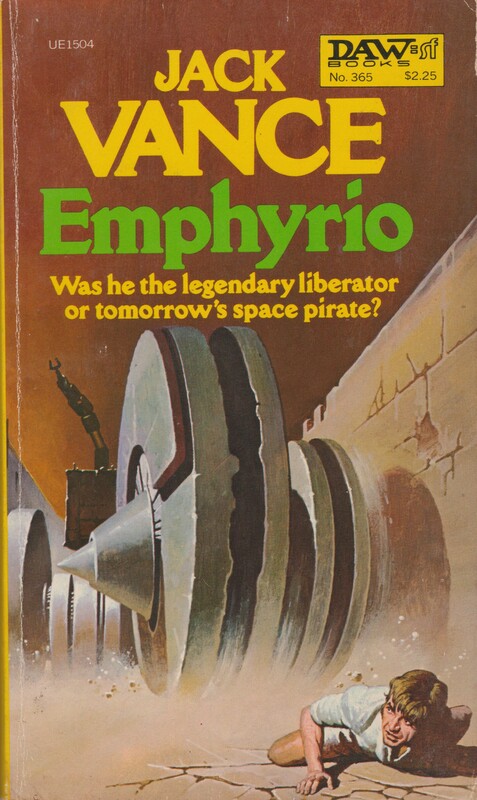 It formed the prologue (in a different form) for his later novel Mindship (1974) which I will track down. After a disaster that cost the Charter half its crew and captain, the new captain procures a new “cork.” “Corks” are “sensitive,” as in they can read and calm the emotions of the ships crew. Their job is to keep monitor everyone and thus facilitate the psychic powers that runs the mindship. Of course, they have the most stressful job on the ship and tend to have psychotic breakdowns. The new captain hires a cork with almost no prior experience, and the phrase “When we cut ourselves, we use little knives” (118) comes to fruition. More often then not, I avoid the SF trope of psychic powers (right there with time travel). A few authors manage to pull it off—Katherine MacLean’s The Missing Man (1975) and Robert Silverberg’s Dying Inside (1971) come to mind—due to a focus on character development and inner turmoil. “Mindship” has a similar focus on the psychological rigors and dangers of space travel. A mindship is a dangerous place, a place where the “sane” (in this case, the captain considering the choices he made) might not be altogether sane. “Notes for a Novel About the First Ship Ever to Venus,” shortstory Barry N. Malzberg, 4/5 (Good), treads familiar ground. By 2119 Nasa is the most powerful political/military entity and humankind pins the perceived “success” of the species on a successful mission to Venus. Rather than traditional narratives that focus on the ultimate success of such ventures, Malzberg focuses on what can (and will) go wrong. As with many of Malzberg’s stories, the media’s role in propagating the cult of the astronaut is front and center. In a similar vein, the public show rather than scientific discovery is the most important: “Wilt Okun, the celebrated knuit player, will be on the Venus expedition and it is planned that he will play the National Anthem as the ship touches down on Venus” (136). 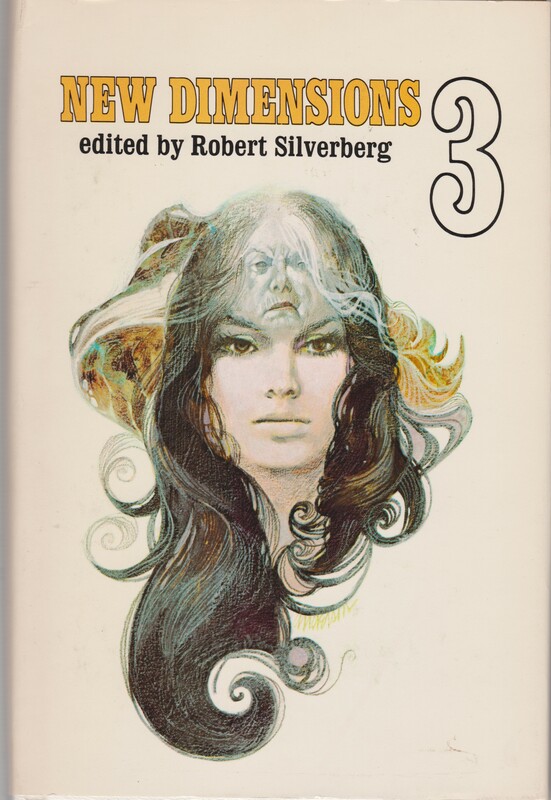 “Poor Man, Beggar Man,” novelette, Joanna Russ, 3.5/5 (Good): Nominated for the 1972 Nebula Award. 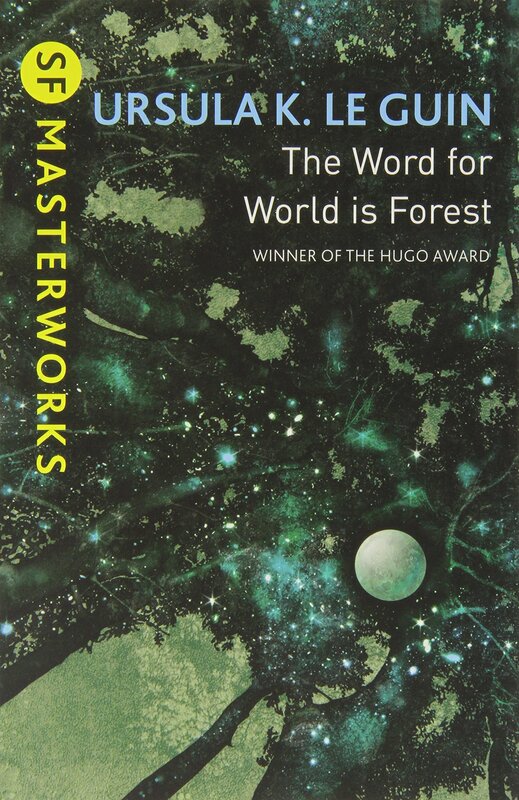 Over the course of the last few years I have thoroughly enjoyed Joanna Russ’ novels (especially We Who Are About To…) and short stories (especially “The Second Inquisition”)—“Poor Man, Beggar Man” is something of an exception. The story is a historical fable which rearranges some of the chronology of Alexander the Great’s reign (Russ points out her authorial choices in a note). As Alexander is about the cross into India the ghost of his dead friend (Cleitus the Black) comes back to “haunt” him. What follows is a discussion of the fleeting nature of achievement and empire and the power of memory. The story did not resonate with me as much as her other work. “The Romance of Dr. Tanner,” short story, Ron Goulart, 3.25/5 (Vaguely Good): The collection’s most overtly comedic story has a few fun moments… I had yet to read any of Goulart’s massive catalogue of SF—the illustrious (*cough*) author of Vampirella: Bloodstalk (1976) and its sequels—and as with Benford and Eklund I am not going to actively track them down. “The Human Side of the Village Monster,” short story, Edward Bryant, 3.5/5 (Good): Far superior to “Jade Blue,” “The Human Side of the Village Monster” takes place in an overpopulated future where food is at a premium. David and Terri desire a child but Terri is required to take birth control—child sellers loiter around the clinic, “Bet you’d like a kid” (197). Downstairs lives a supposedly sinister old man named Gregor Jaindl…. who daily brings trash into his apartment. And David and Terri are invited over for dinner and as Gregor reminisces about the past they dine on a mysterious meat. As with the Silverberg story, Bryant suggests the transformed world and its problems rather than describes them at length. The relationship of David and Terri is front and center. And yes, “Gregor” is a reference to Franz Kafka’s The Metamorphosis (1924). 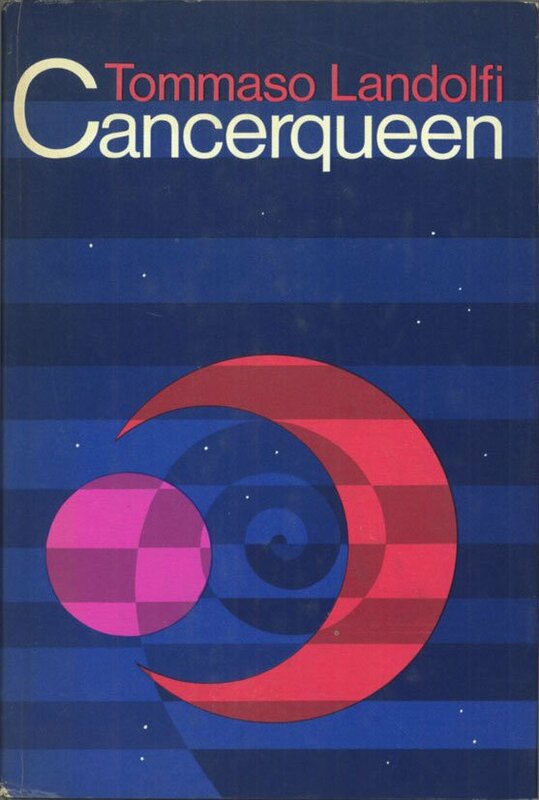 “Mount Charity,” novelette, Edgar Pangborn, 3.75/5 (Good): Nominated for the 1972 Nebula. 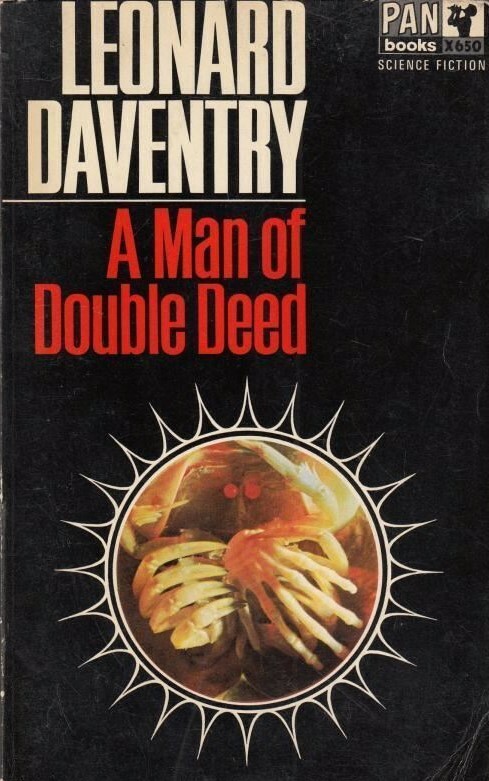 This story takes place in the world of Davy (1964) (one of the “classics” I have yet to read). An unknown concatenation of events creates four sentient and immortal (?) earth animals: a peregrine, European wolf, a barbary ape, and a snake [since deceased]. The peregrine approaches an aging man and tells its story and how the animals have observed humankind’s civilization for thousands of years and how they came to dwell in the shadow of Mount Charity… And they have a request. On the whole, “Mount Charity” is pastoral story which delicately treats the philosophical and historical observations of humankind by almost immortal “animals”. Silverberg, Russ, and especially Pangborn continued to write strong stories in other Universe volumes. I think my one complaint there is that they start to feel a bit similar after a while… but they’re all pretty good, so it’s not really a problem. Lafferty and Effinger also had some killer short stories in those years… Carr assembled a heck of a fine assortment of talent. I think other people will like the Russ story — as a historian I am constantly peeved by historical fiction which does not demonstrate any grasp of the area under discussion. I understand what she is trying to do (it is much more a historical premise for a fable rather than historical fiction) and I do not fault her in any way. It is definitely more my personal stance…. I suspect scientists feel similar when encountering poor science in their SF — something I can’t catch nor care to. And Goulart, have you read anything by Goulart? 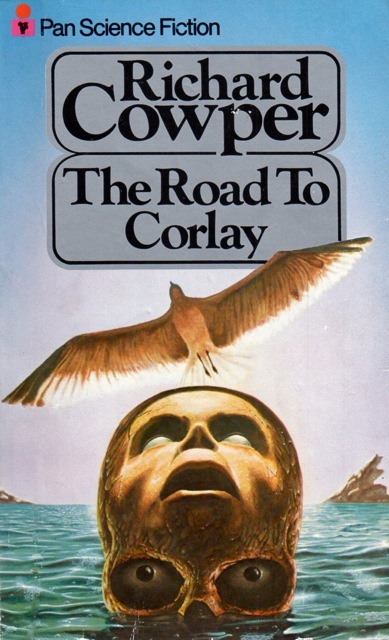 Rather read Sheckley…. I read an Effinger collection recently — I have not reviewed it yet. It was spectacular. Which one! Was it Irrational Numbers by chance? Yes, it’s great. I have half a review written. Hmm, this collection piques my interest more than most, and based on Ironbombs’ comments, it sounds like the series would be up my alley. Also glad to see you liked MacLean’s Missing Man, which I’ll be reading very soon! I need to remember to check out your review when I post mine. On the whole it’s quite solid. And I do want to track down the rest in the series (I have Universe 3 and Universe 12 I think). I am still struggling with Lafferty…. I don’t really enjoy the works of his I’ve read (Past Master, “Nor Limestone Isles,” and various stories in other collections) — I thought I would more than I do. That George Alec Effinger short story, like John Brunner’s The Jagged Orbit is seeming more and more prescient as the 21st Century wears on. 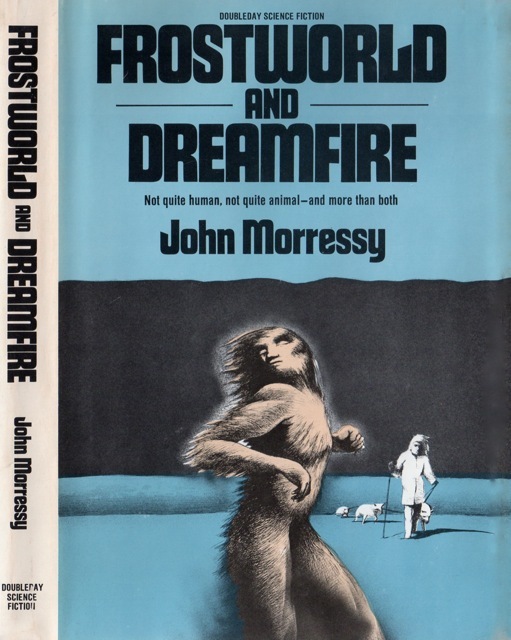 And the reaction to socially progressive SF at the present is probably similar to the reaction to Le Guin, Effinger, etc in the 60s/70s…. although, social media augments the reaction.